Rickmansworth Festival takes place on the third weekend of May every year and celebrates canals, the community and the environment. The Festival, the highlight of the town’s annual calendar is the finale of Rickmansworth Week. The main attraction for many of us is the wonderful collection of colourful canal boats from across the country making a lovely and evocative scene. There will be more than 100 craft of different types moored along the towpath up to four deep. There are things to do, spectacles to see for all ages and levels of interest. The Rickmansworth Festival started as a purely canal based event in 1993, as part of the British Waterways “Canals 200” celebration that year. The first was on a large scale, incorporating the Aquadrome as the main location for land based activities. Subsequent Festivals were much smaller, but they have steadily grown. At least 20,000 people now visit the festival each year. The Festival now occupies part of the Aquadrome, the towpath between Stockers Lock and Batchworth, and the area round Batchworth Lock. There will be a wonderful range of music and performing arts, displays and presentations, traders, boats and catering, and a lot of fun. People wishing to attend the Festival may find more information on the website along with a huge list of entertainments. Rickmansworth Waterways Trust was first formed in 1991, with the aim to excite and inform the community about the environment, history and heritage of the waterways, and to show how they can be enjoyed today. Education programmes: The key education programme is ‘Learning at the Lock’, for Primary School visits, and they are also working on improving the secondary education programme. Rickmansworth Festival: They run the Festival which concludes 'Ricky Week' every year on the third weekend of May attracting more than 20,000 visitors. Batchworth Lock Canal Centre: There you can find information, such as guide maps for walks; buy souvenirs from the shop; or visit the cafe at Lock 81. 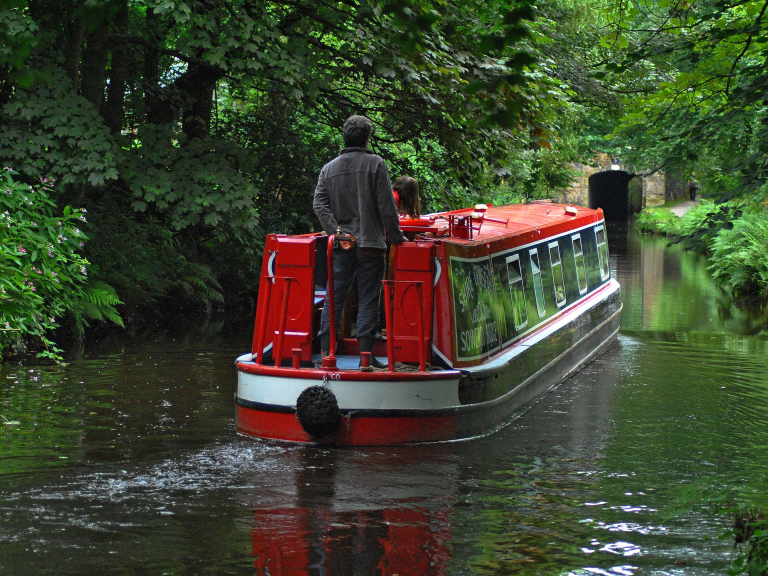 Canal Cruise: During the summer, they offer trips on our Pride of Batchworth from Batchworth Lock to Stockers Lock for up to 12 people. Roger: Their historic working boat, which they are in the process of conserving, and plays an important role in their education programmes. Rickmansworth Canal Festival is highly recommended by The Best of Watford, enjoy!